Just before I moved to uni, I redecorated my room at home. Even though it’s been 2 years, I’ve only just gotten around to organising my stuff. 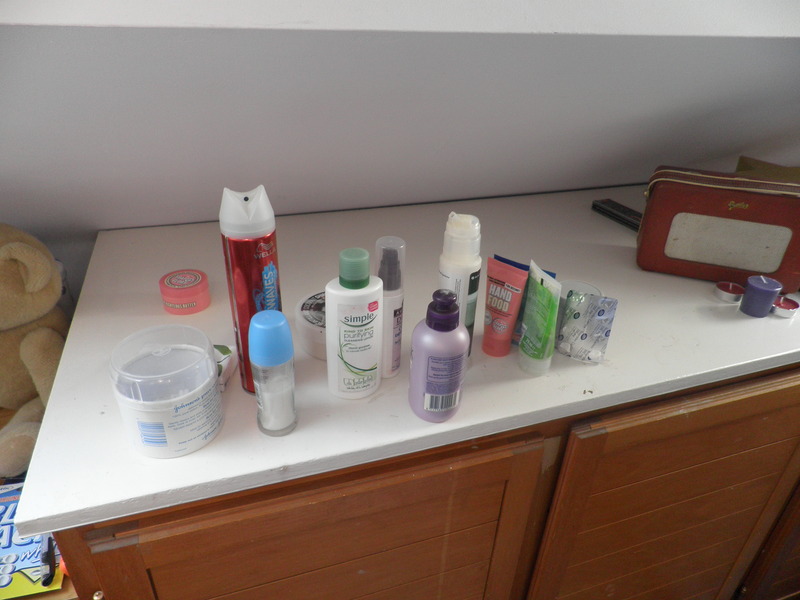 My cosmetics and hair products were all-over-everywhere, so I decided to take action! 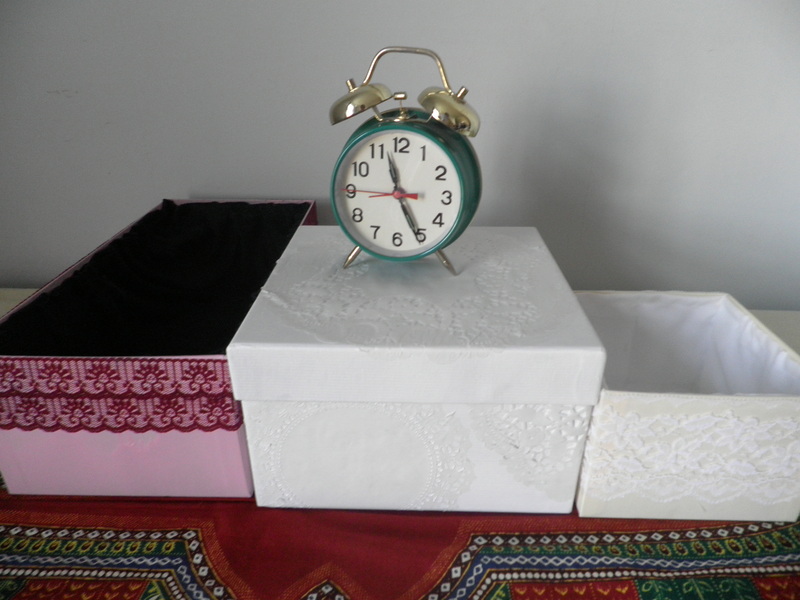 This summer whilst I was living back at home, I made some box tidys to put all my stuff in. Now my room is tidier, and much less bare. 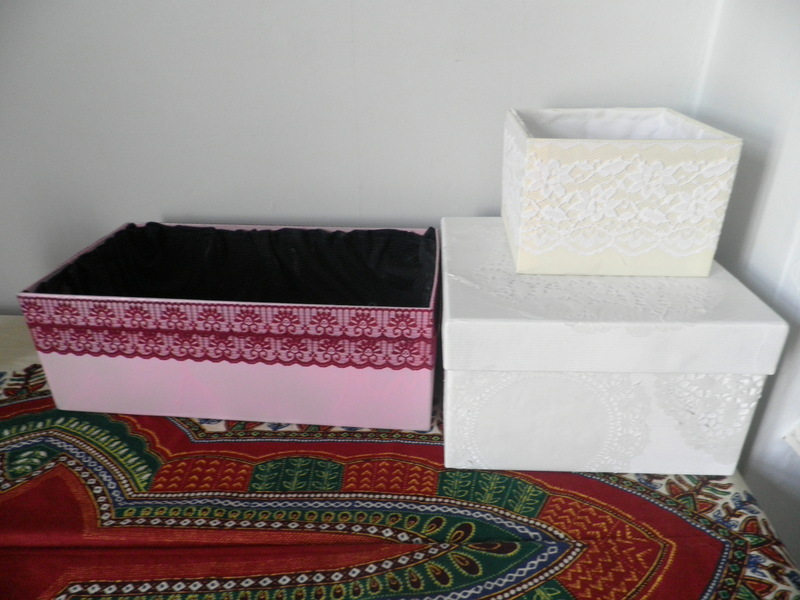 You will need: a box (a shoe box is fine), fabric for the lining (I used 1/2 a metre), a pen, needle and thread, a sewing machine (optional), paint, pva glue, lace (as much as you like) and scissors. 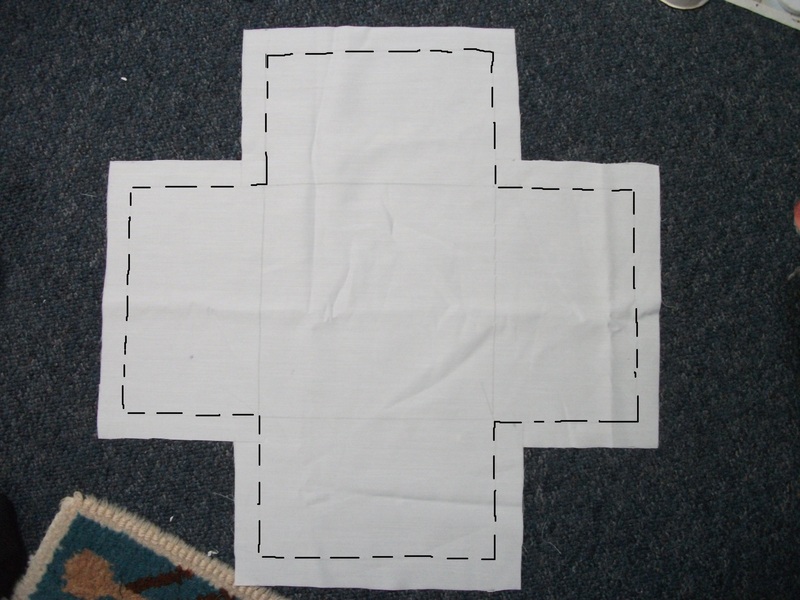 Next, draw a line around your shape about an inch away from the first line (the first line is the dotty line above), so that when you sew your lining together, you will have some space to sew! 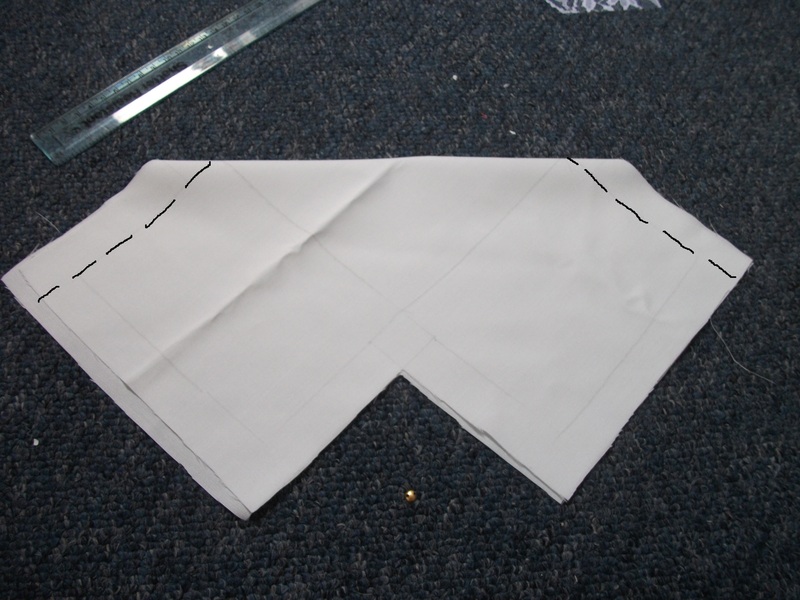 Step 2: Cut out the shape! And then repeat for your other two sides. 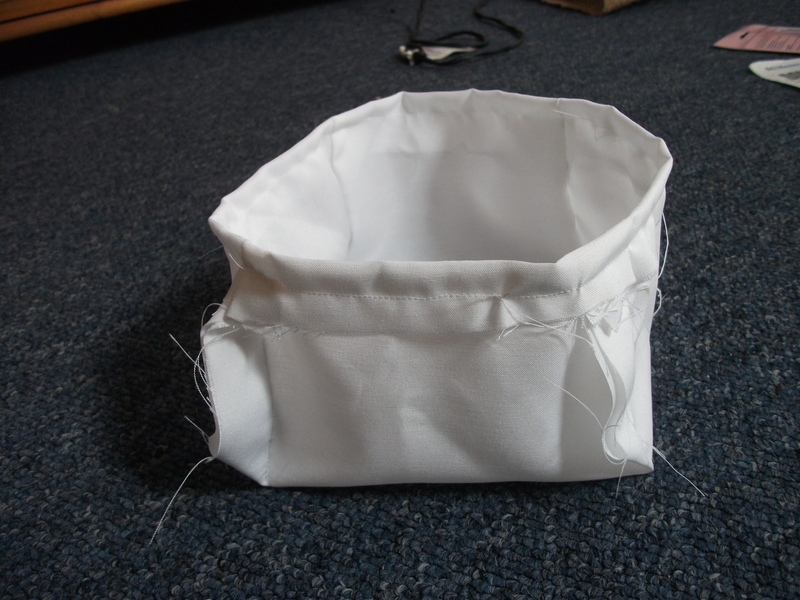 Step 4: Give the top of your box a seam! Turn the fabric over at the top, so that an inch of the fabric is on the outside. Then stitch it together. Whew, the hard part’s over, your lining is done! Now, for the most exciting part, decorating your box. 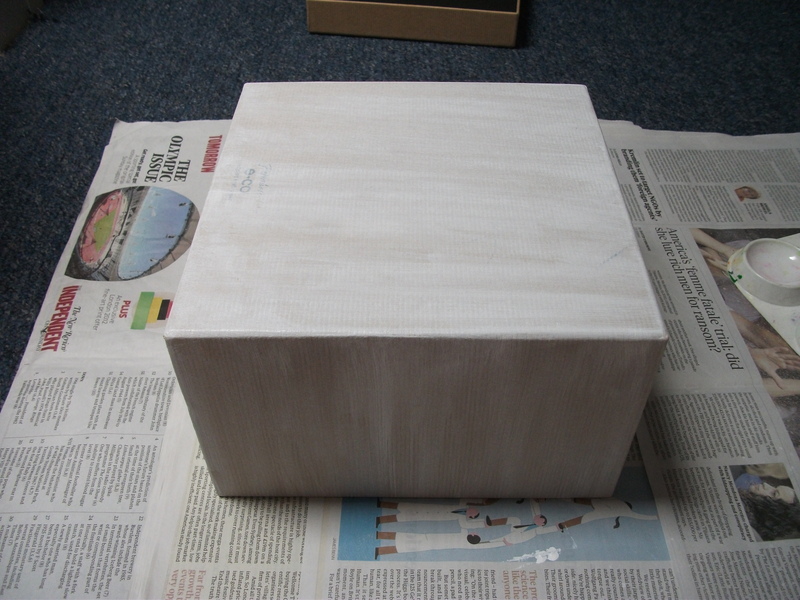 Step 4: Paint your box. I used acrylic paint because I didn’t want to have to buy any spray paint, but spray paint works best. 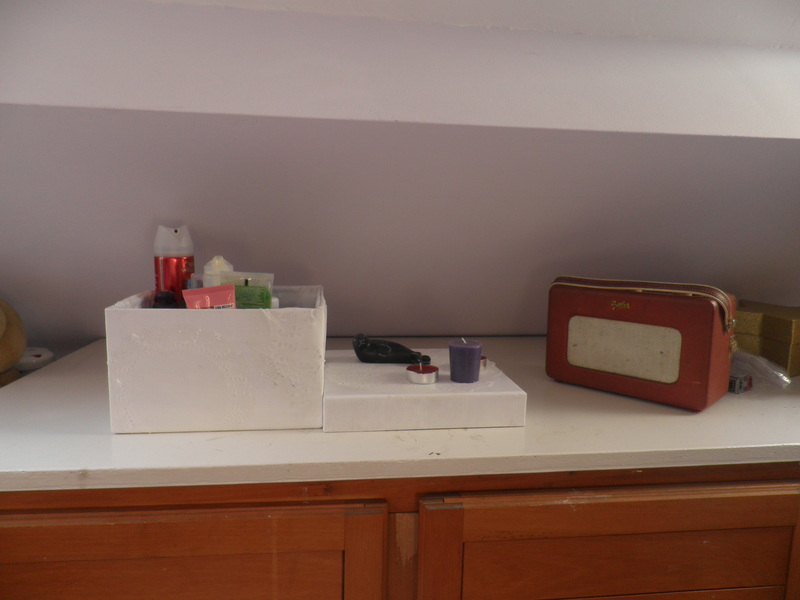 Spray the outside (and the top of the inside) of your box evenly all over, and then leave to dry. 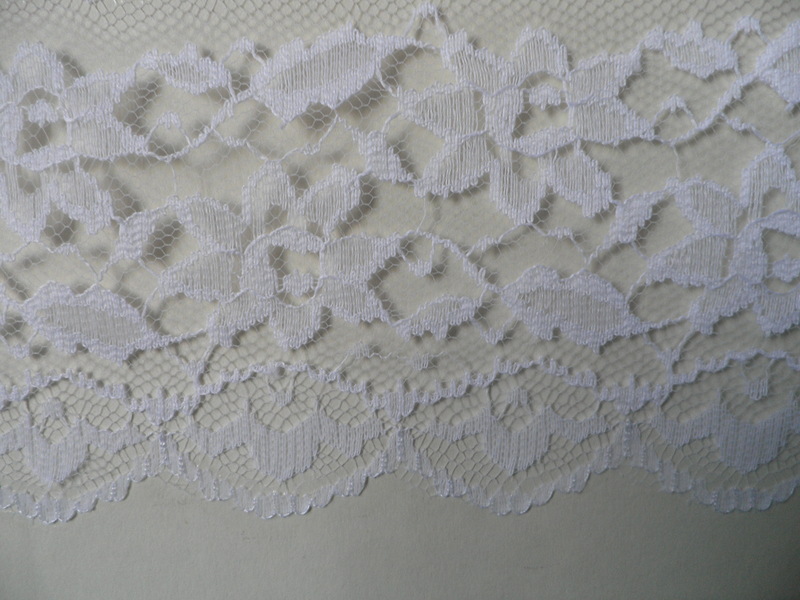 Step 5: Put the lace onto your box. Lay it out first, and then when you’re happy with it, glue it on using PVA. Don’t put too much glue on otherwise it will get messy! Step 6: Use PVA to glue your lining to your box. I put the glue around the top edge and around the inside edge. And now you’re finished! All your things will look tidy and pretty. Yay! I hope everyone has a good friday! That is such a cute idea! I might do it to the millions of shoe boxes I have laying around.